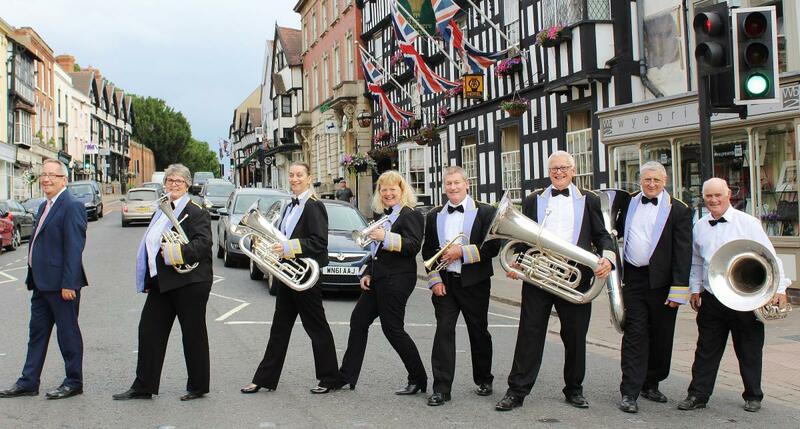 In a parody of the Beatles “Abbey Road” Ledbury Brass Band crossed the road carrying their musical instruments and showing off their splendid new uniforms which were purchased with the financial assistance of Ledbury Rotary Club, from its Community Chest Programme, and the One Stop Shop. We would like to thank the vehicle drivers that waited patiently for a few extra seconds whilst the photographs were taken. Ledbury should be absolutely proud of its Brass Band which is seen and heard at all of our Town events and activities.